BARAKA works through a network of local and international professionals who share the common vision that sustainable tourism can stimulate economic growth while conserving and protecting cultural heritage and natural resources. Muna is the Founder and Managing Director of Baraka. Passionate about travel and tourism but keen on the impacts of the industry, she started Baraka with the drive of minimizing the negative impacts of tourism on the environment and societies through dedicated planning and implementation. 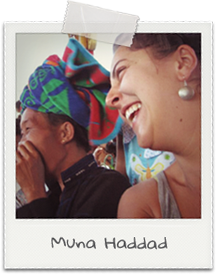 Muna started her career in tourism as the Regional Marketing Manager for the Jordan Tourism Board. She also conducted international research on the negative impacts of tourism on communities in South East Asia, and studied the trickledown effect of tourism on local economies. She was also mentored by Schwab Foundation’s Social Entrepreneur of the Year Dr. Curt Rhodes on social development and integrated development concepts in tourism models. Muna is passionate about community development through tourism and is considered a contributor on the topic at the annual Ecotourism and Sustainable Tourism Conference. She was also a member of the drafting committee of the Dana +10 declaration for the rights of mobile indigenous communities presented at Rio +20. 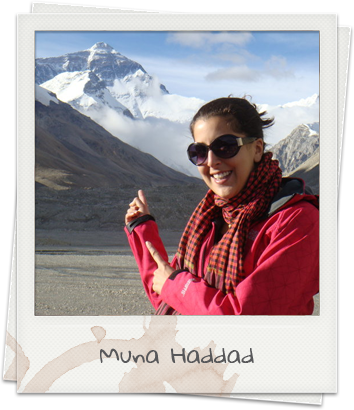 Muna holds degrees in Marketing and Communications and is certified by the International Ecotourism Society in Community Based Tourism. Currently she specializes in ecotourism and site development, community based tourism, ecotourism development and destination marketing and has worked with many local and international clients including the World Bank, USAID, and the EU. 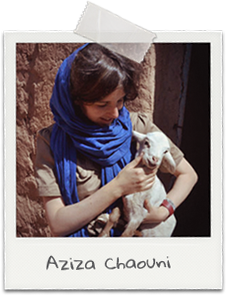 Alexia is a voluntourism industry expert, monitoring trends and striving to drive the field in the right direction. She previously ran the North American branch of one of the biggest voluntourism companies, i-to-i, and upon leaving started consulting for other companies in the field. Her clients have included VolunteerCard.com, Intrepid Travel, World Nomads, Geovions, Globe Aware, PEPY Ride, Fly for Good, etc. 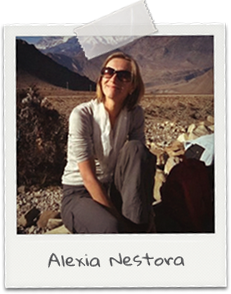 In 2011, Alexia hosted the first Voluntourism Conference which was credited with helping major players address big issues in the industry. She also guest lectures on voluntourism for several universities and is a frequent speaker for Sustainable Travel International and the Adventure Travel Trade Association. A graduate of Georgetown's McDonough School of Business, Alexia is frequently called by the media on voluntourism issues and has been quoted in the Wall Street Journal, Smart Money, NY Times, The Guardian, etc. Over the years she has contributed to Mintel Reports on voluntourism as well as done her own independent research on the growth of the industry. Alexia herself has volunteered all over the world, but these days her favorite place is at home with her family in Parker, Co.
Chris is a British born ecologist, specializing in the institutional strengthening of environmental NGO's and the development of community-based ecotourism and other nature-related businesses. He moved to Jordan over 16 years ago as a project manager under a World Bank program to help establish the Dana Nature Reserve in southern Jordan as a model of integrated conservation and development. This was the first project in the Middle East region to try and link the conservation of nature with socio-economic development for local communities. The eco-tourism facilities and activities that were created in Dana now attract over 40,000 visitors a year and generate enough revenue to support 60 full-time jobs for local people and provide additional income for a further 800 beneficiaries. Tourism revenues also cover a large part of the Reserve's running costs and Dana is widely regarded as a world model of sustainable development. As well as supervising the Dana enterprises, Chris was also responsible under the project for orchestrating the institutional strengthening of the RSCN to help it introduce progressive, team based management approaches and become a dynamic conservation leader in the region. 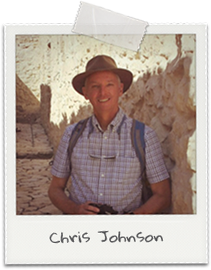 At the end of the Dana Project, Chris became a permanent member of the RSCN staff and has since "worn several hats", from Development Director to the founder and Executive Director of 'Wild Jordan'; the division responsible for socio-economic development, including eco-tourism. In these various roles he has worked closely with his Jordanian colleagues to spearhead an ambitious program of tourism and other nature-based enterprises, which are replicating the "Dana model" in all RSCN's protected areas. These include the Azraq Eco-lodge and the Wild Jordan Nature Centre in downtown Amman; and also the Feynan Eco-lodge, which has recently won several international awards. Chris was also the Senior Consultant for the Swiss-funded 'Nature Conservation through Eco-tourism' project; a regional initiative to develop ecotourism as a tool to sustain biodiversity programs, operating in Syria and Lebanon. Collectively, the projects Chris has negotiated with international donors have brought over $25 million for biodiversity conservation and rural development in the Kingdom of Jordan and laid the foundation for a thriving eco-tourism sector. 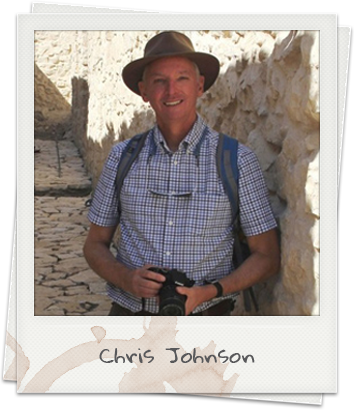 In 2007, Chris was awarded the MBE by Queen Elizabeth II for his services to nature conservation in Jordan and in 2010, the Wild Jordan enterprise he established won the prestigious Guardian and Observer 'Ethical Travel Award'. 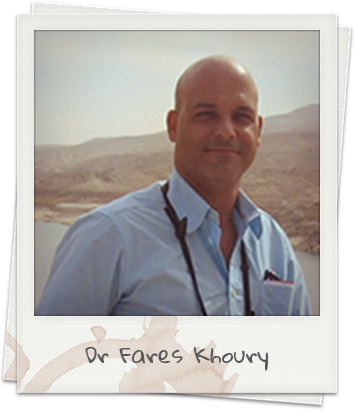 Fares is an ecologist and zoologist with extensive experience in ecological field research. Fares is the only academic ornithologist in Jordan, and he regularly carries out scientific research on the ecology of wild birds and has so far published over 40 articles in peer-reviewed scientific journals. He is currently the only active Jordanian bird ringer and licensed ringing trainer in Jordan. He spent around 11 years as university faculty member at the Hashemite University, and is currently contributing to the establishment of the Biology and Biotechnology Department at the American University of Madaba. Fares acted as senior ecologist/ornithologist in conservation and restoration projects carried out by NGOs, e.g. at BirdLife International (where he worked for one year), USAID and the Royal Society for the Conservation of Nature. Field surveys and preparing or up-dating management plans for nature reserves or special conservation areas were part of his assignments. While at BirdLife Int. he compiled the "Important Bird Areas in Jordan" inventory, which became an important reference about wildlife and biodiversity for planners and decision makers in Jordan. Furthermore, he carried out situation analysis, and ecological impact and wildlife hazard assessments for various governmental/non-governmental entities and companies including the UNDP and the Ministry of Agriculture; he was involved in EIAs of major projects including the Disi and Red-Dead Water Conveyance, Birgesh Military Academy and is carrying out and supervising the assessment of potential risks of Wind farm on wild birds in southern Jordan. He carried out the first study of its kind in Jordan and the region about the risks of birds on flight safety for the Queen Alia International Airport. Furthermore he had a leading role in assessing the ecological impacts and opportunities and had thus a significant contribution to the development of the innovative Sahara Forest Project in Jordan. 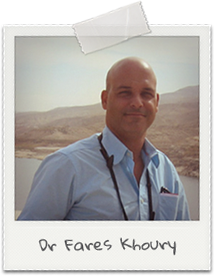 Dr Fares Khoury is frequently requested to carry out peer reviews of scientific articles by renowned journals and is member of several scientific organizations and councils, including the Species Survival Committee of IUCN. He is co-founder and national coordinator of the Long-term Social and Ecological Research Network (LTER) in Jordan, which is part of the global network (iLTER). Fares has some experience in nature-based tourism (including bird watching, camping, camel and horse-riding and diving), as he formerly worked as tour leader in Jordan. Aziza is founding principal of Bureau E.A.S.T. and Aziza Chaouni Projects, and assistant professor at the John H. Daniels Faculty of Architecture, Landscape, and Design. She holds a Master of Architecture with distinction from the Harvard Graduate School of Design and a Bachelor of Science with Honors in Civil Engineering from Columbia University. 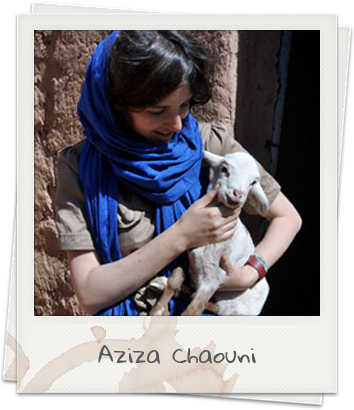 Chaouni main research and praxis focuses in ecotourism. Through her lab DET (www.designingecologicaltourism.com) she has completed two ecotourism masterplans in Morocco in collaboration with the Moroccan Ministry of tourism, developed low impact mobile accommodation prototypes for the region of M'hamid and a zero water golf course and ecolodge research for the region of Merzouga. DET Ain N'sissa masterplan in Morocco won the prestigious ACSA 2012 award and the 2012 PA award citation. Dana is an Architect/ Urban designer focused on sustainable built environment development issues. 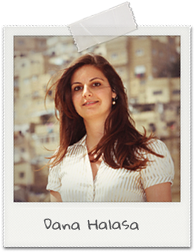 For over 8 years Dana has worked in the field of architecture, urban design and planning projects in the Middle-East with extensive experience on the built urban environment. Dana has worked for the Amman Institute on projects in Jordan with clients including the Greater Amman Municipality (GAM), Ministry of Municipal Affairs (MOMA), Aqaba Special Economic Zone Authority (ASEZA), and The Royal Society for the Conservation of Nature (RSCN). Her work focuses on built environment, sustainable development, and green architecture. Recently, Dana worked as an Urban Designer for several master plans and urban design projects, as well as designing green building across protected areas in Jordan. She holds a Masters of Architecture in Urban Design from the University of Nottingham and a BSC of Architectural Engineering from the Jordan University. She won several awards from the Said Rida Foundation 2007 and The CMPG Architects prize for excellence in urban design in the Exhibit08: The Nottingham Declaration 2008. Copyright © 2017 Experience Baraka. All rights reserved.